"And just maybe I'm to blame for all I've heard..."
Another mostly sleepless night, and then I woke to clouds, after a mostly cloudy day, yesterday. Currently, it's 45˚F, with the windchill at 42˚F. I spent most of yesterday reading back over most of Agents of Dreamland and Black Helicopters, trying to get my head back into the space it needs to be to finish The Tindalos Asset. It's heartening to look back at those two novellas and still like what I did. 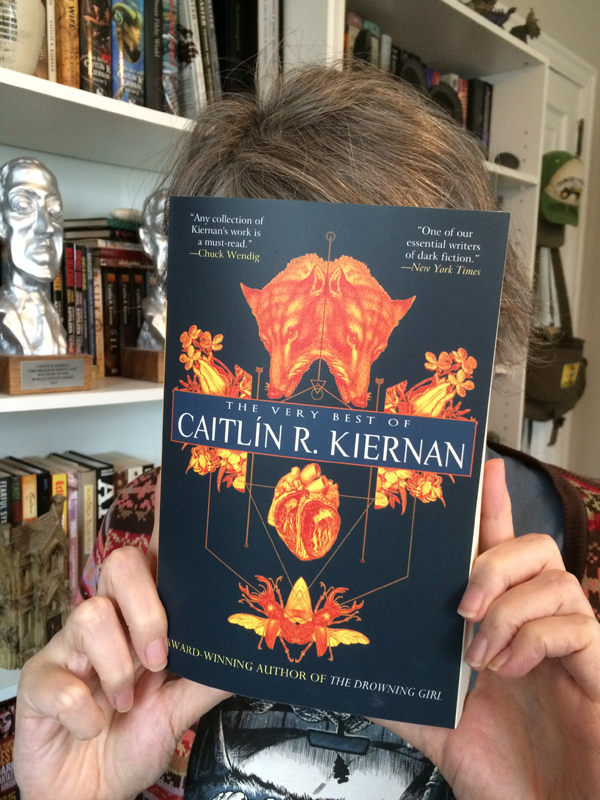 My contributor's copies of both The Very Best of Caitlín R. Kiernan and The Weird Fiction Review (Fall 2018) arrived yesterday. I think I'm going out to look for a jade plant today. This grey room needs something green and alive. Current Music:They Might Be Giants, "Twisting"